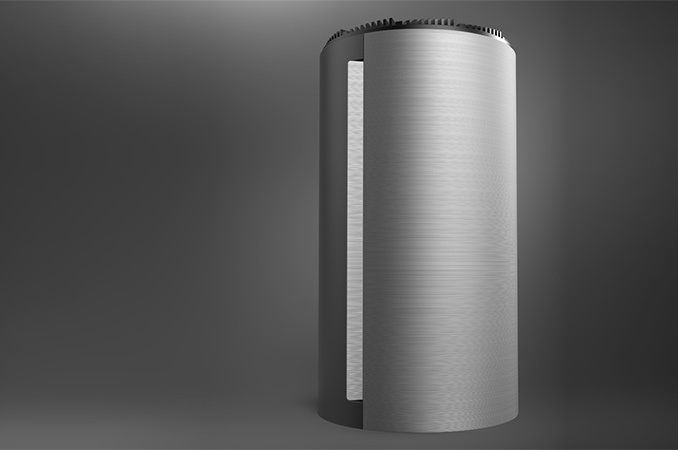 Cryorig has announced its new cylindrical PC chassis, which enables system makers and enthusiasts to build Mac Pro-styled gaming computers. The new case can house one graphics card and a mini-ITX motherboard. While the chassis can formally support a variety of components, actual capabilities of such PCs will be limited by PSUs and cooling. The Ola PC case will only hit the market in 2017. 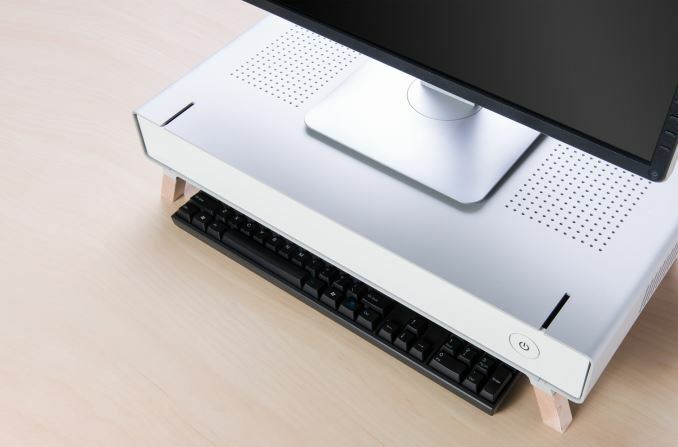 In addition, Cryorig announced its ultra-slim desktop chassis called Taku. The Cryorig Ola PC chassis can house an SFX power supply unit, a motherboard in mini-ITX form-factor, a typical full-height high-end graphics card (up to 280 mm in length), one 3.5” HDD as well as one or two 2.5” storage devices. The chassis is divided into two compartments: one for the motherboard with the CPU as well as storage devices, another for the graphics card. 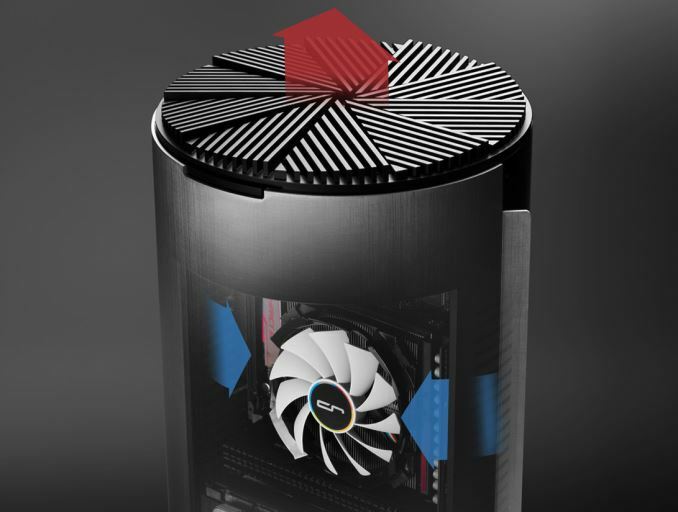 Inside, Cryorig’s Ola has a rather sophisticated internal cooling system that relies on one big 140 mm fan and two shark-gill like side air intake ducts (one for each compartment) that run the length of the case and let in cool air from the outside. Components like CPU and GPU will have to use their own cooling solutions. At present, Cryorig does not reveal anything about the maximum TDP of a GPU that the Ola chassis can house, but claims that the maximum TDP of its CPU should not be higher than 100 W, which is enough for non-overclocked Intel Core i7 K-series processors in LGA1151 packaging, but which does not give any headroom for overclocking. The 100 W limitation is likely conditioned by supported cooling system, which cannot be higher than 72 – 82 mm and its top cannot be larger than 92×92 mm. 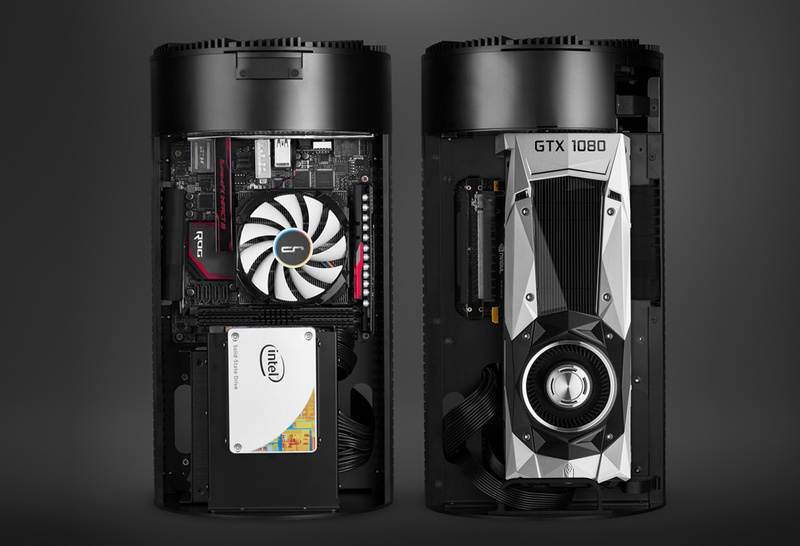 In its press materials, Cryorig shows off its Ola chassis with NVIDIA’s GeForce GTX 1080 graphics card, which consumes up to 180 W. Hence, it should be possible to build a fairly powerful PC using the Ola. On the aesthetics end, the Ola features a modular front and back panel for multiple textured options. Right now, the company considers brushed aluminum and wood veneer, but when the product hits the market, other options could emerge. Due to its cylindrical form-factor and a tricky internal architecture, the Ola from Cryorig will have a limited amount of external connectors, including at least one for display, audio input/output, a USB 3.0 and so on. Cryorig started to work on the Ola only recently and the chassis is still a work in progress, which is why the company keeps the final specs. The maker hopes to release Ola sometimes in Q2 2017, about a year from now. The early prototypes will be on display at Computex trade show next month. Next up is the Cryorig Taku ultra-slim desktop, which is made of 3 mm thick aluminum and which can be used as a display stand. The internal architecture of the Taku is rather simple: it has one sliding drawer, which can house a mini-ITX motherboard with a CPU, a graphics card (which is no longer than 240 mm), storage components as well as an SFX PSU. Due to slim form-factor, the CPU will have to use a cooler, which is no higher than 47 mm, which brings some limitations to TDP and almost certainly leaves no space for any tangible overclocking. Right now, Cryorig is trying to figure out how to best cool-down internal components of the chassis, which is why it does not share its own recommendations regarding CPUs and GPUs. Like the Ola, the Taku is also a work in progress with targeted release dates in late 2016 or the first quarter of 2017. Early prototypes will be demonstrated at Computex. I'd like a trashcan 'windtunnel' design with 200mm fan drawing up (with dust filter of course) and 200mm on top venting. With LEDS and a 'Bidibidi' sound when switched on.